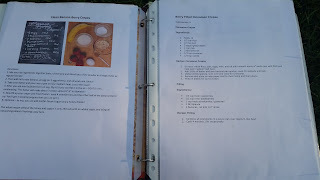 If you're anything like me, you know how important it is to keep a file of all the recipes you've tried and enjoyed or use on a regular basis. I tend to forget some of my family's favorite meals if they're not listed in front of me, so having them all in front of me saves time and brainpower when it's time to meal plan for the week. 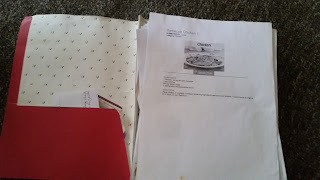 Our favorite (mostly healthy) recipes had been printed and thrown into an ugly crinkly folder for YEARS. 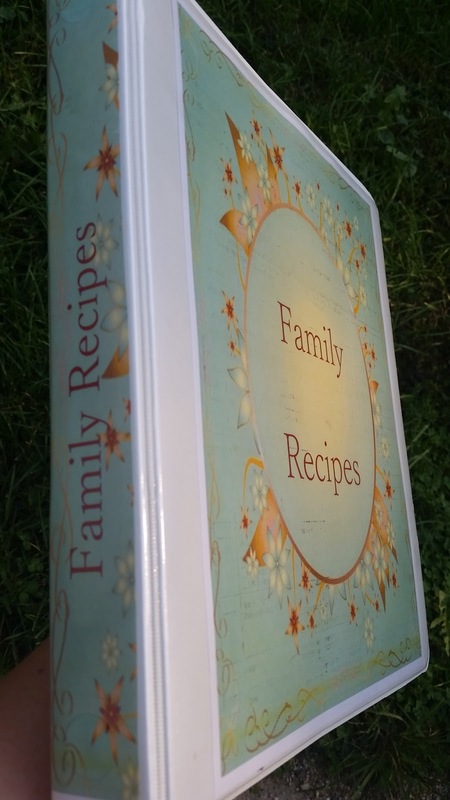 I've had intentions for at least the last 5 years to get our recipes in some kind of better order, but never quite had the interest to do it. Somehow, recently, I finally got hold of some recipe book inspiration and ran with it. Even Hubster is appreciative of the outcome. 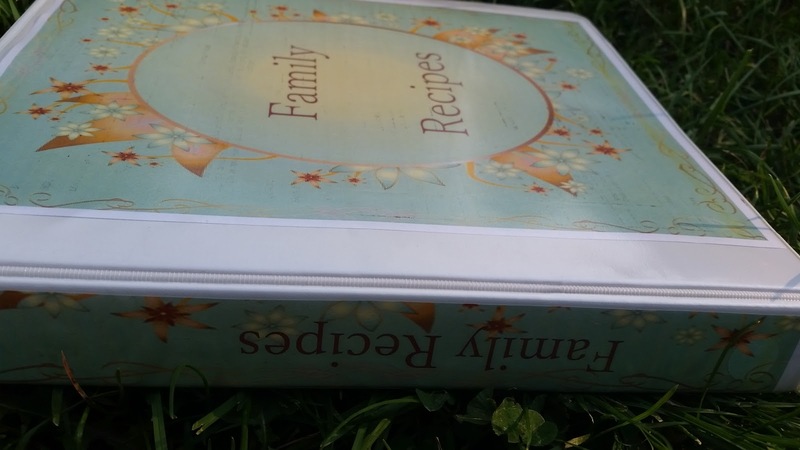 What I did was put every recipe inside a plastic page protector. 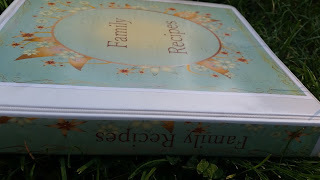 I love the page protector idea because I tend to obsess about not spilling things on recipe pages. Instant splash protection! Then, I organized the recipes by meal and put them in a simple white binder. I found some stylin' file dividers and labeled the meal types so everything is super easy to find. 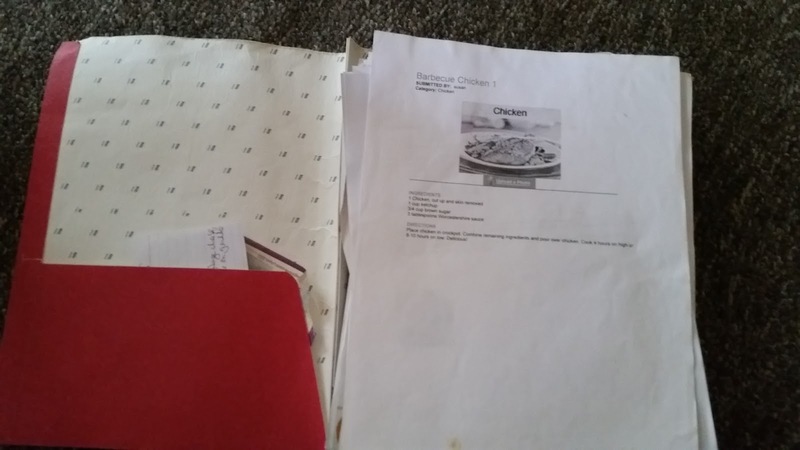 I can't tell you how many times I flipped through the pages in that red folder searching for recipes when they were all just thrown in there. 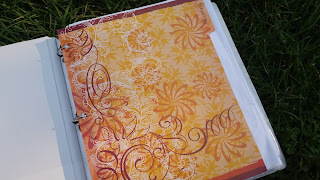 Finally I searched for "retro nature border" on Google (cuz that's how I roll) and did a little editing and added text to turn it into a cover sheet. I cropped a small part of that same design to create the spine title. I love that this book is completely customized to our family's taste. 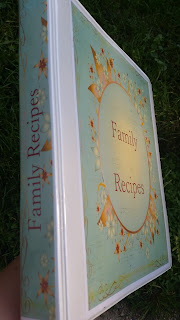 You know how when you buy a cookbook and you only use a handful of recipes from it? Yeah, me too. That's why the binder idea works best. You only keep what you love! Seriously, besides this recipe book, the only other cookbook we've always kept is the timeless Better Homes and Gardens one. I was going to scan all the recipes and create a digital file of them all. But who am I kidding? I don't have the patience for or interest in that. 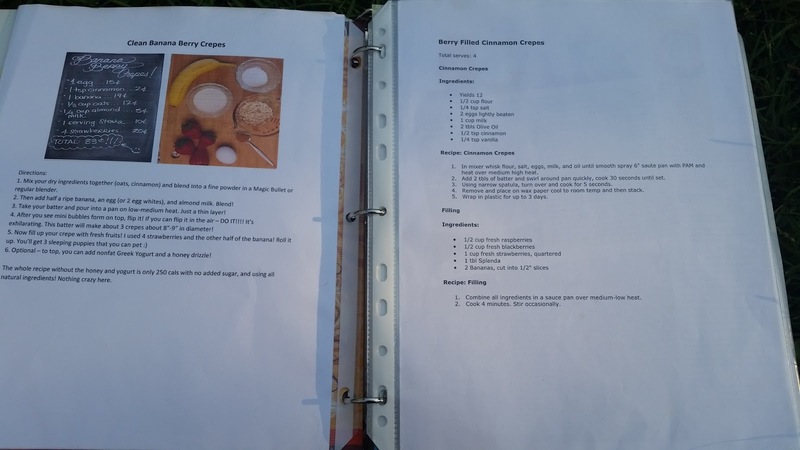 I love referring to paper copies and usually end up printing recipes off anyway. I am a very visual person when it comes to food, so I wasn't very attracted to the idea of little recipe cards either. Must have pictures! I also started a list on a Google Doc with all our family favorites listed out on one sheet. That way we can choose 5 or so dinners per week at a glance instead of trying to search our brains for ideas. 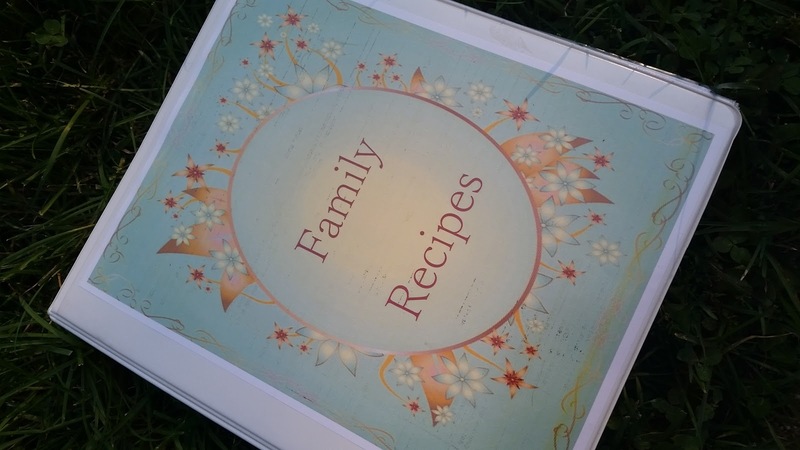 It feels so good to finally have our recipes organized! How do you organize your recipes?